Cunard Line continue to tease the upcoming refurbishment of Queen Mary 2. 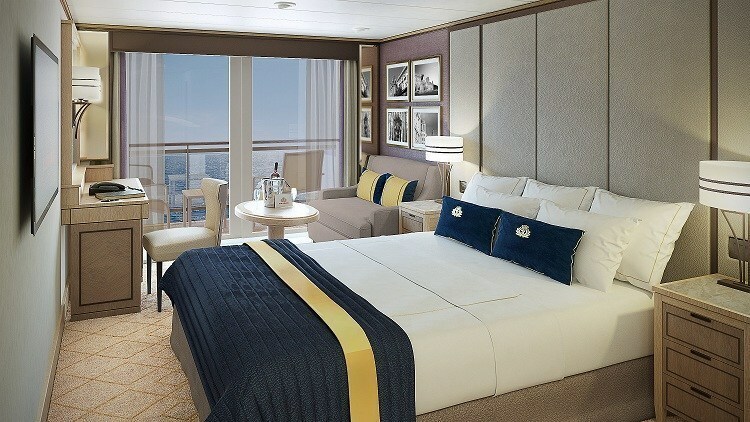 This time there are new details about the ships Britannia staterooms. 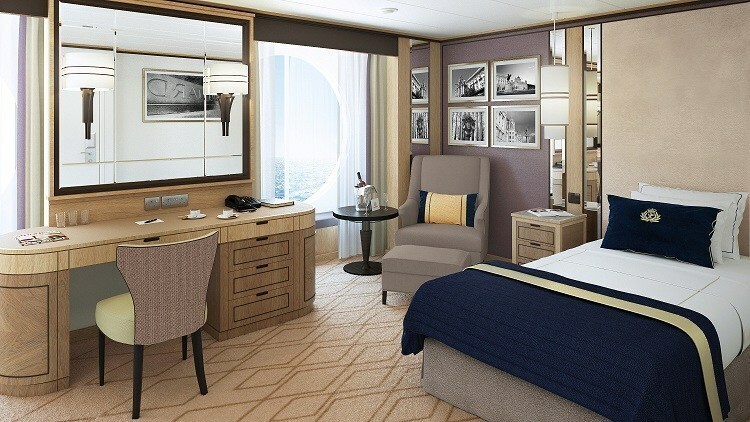 30 new Britannia Club Balcony staterooms will be redesigned during a major dry dock and 15 all-new Britannia Single staterooms will offer guests even more choice. There will also be a comprehensive refurbishing of all pre-existing Britannia Club Balcony cabins. Guests staying in Britannia Single stateroom will enjoy the very best from Cunard Line including 24-hour room service, nightly turndown service with chocolate and fine Penhaligons toiletries. Single guests will get a chance to meet fellow cruisers in daytime activities throughout the voyage. Of the 15 Britannia Single staterooms that will be added, nine single cabins will be on Deck 2 and six larger single staterooms will be built on Deck 3L. New single cabins on port side Deck 2 will benefit from increased ceiling height and an illuminated coffered ceiling. New single cabins on port side Deck 3L will feature two unique circular windows with bench seat cushions and a central dressing console table. 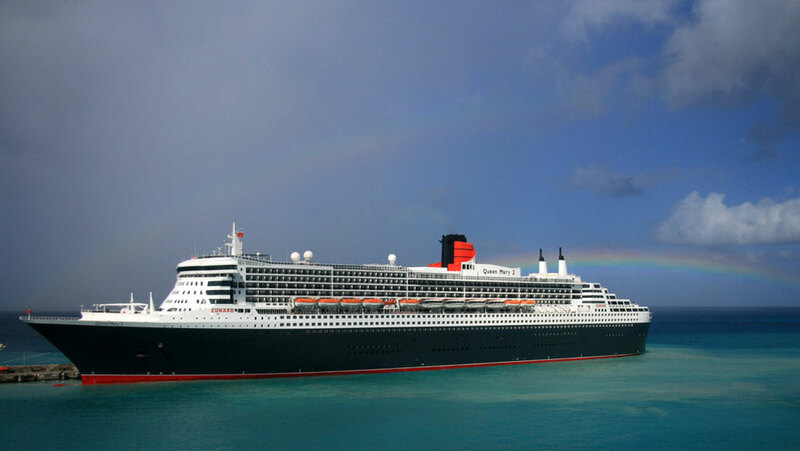 Queen Mary 2 will undergo a 25-day at the Blohm+Voss Shipyard in Hamburg, Germany from May 27 to June 21, 2016. The entire vessel will be refreshed along with some new additions.